Luxury motor yacht AICON 62 SL “BONHEUR” is offered crewed for charters by our Company AB Yachting Ltd to charter for your sailing holidays in Slovenia, Italy or Croatia. 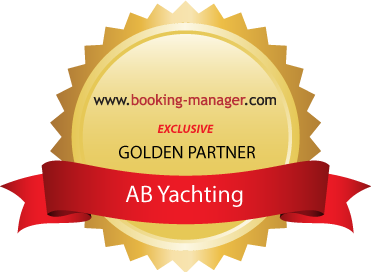 Our home port is in Marina Portorose SLOVENIA .The luxury m/y AICON 62 “Bonheur” promoted in this page, is offered with a crew of 2 members ; captain and hostes and accommodations for six guests in six luxurious cabins . For day cruises Aicon 62 accomodate 14 guests. AICON 62 SL has focused on an innovative division of interior space, which has been designed to create a geometric, loft-style environment. The open galley has been placed in front of the cabins, bus is only a few steps away from the dinette. The area is particularly light thanks to a large windscreen on a higher level, increasing the feeling of space. The AICON 62 Open is fitted with three cabins and three bathrooms, a rare feature for a yacht of this size. The design exploits the space to the maximum, providing a large living area that is separate from the galley, combined with comfortable and spacious accommodations. Check in and check out in marina Portorose Slovenia, week check in at 14.00 PM, check out at 10.00 AM. Weekend check in at 9.00 AM, check out at 18.00 PM. Day check in at 9.00 AM, check out at 20.00 PM. All addditionals by mutual agremment. Final cleaning, hostess, bedclothes and towels are included in the price , welcome drink will be served from our crew.